This firm was founded in Paris in 1853 by Carl (1810-1883), who was a salesman for the German publisher Litolff of Braunschweig. Wilhelm, his eldest son, took over the Paris firm by 1880. Georges Costallat (1844-1901) was Wilhelm's business partner from 1880 before leaving to found his own company “Costallat et Cie.”in 1894. Enoch's other son Charles had emigrated to London and established a branch of the company there in 1869 (ultimately sold to Edwin Ashdown in 1927). 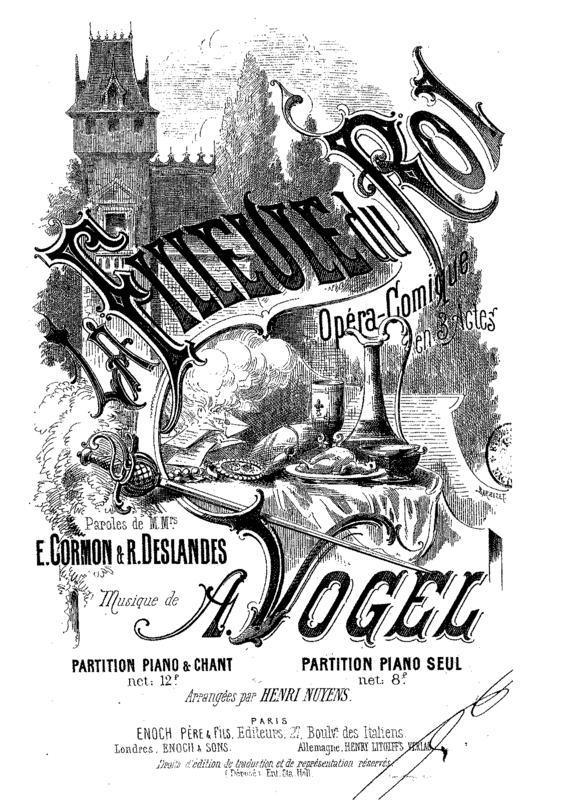 Wilhelm Enoch established an interesting policy of publishing works from not only the symphonic repertoire, with composers such as César Franck, Emmanuel Chabrier and George Enescu, but also from the popular operetta repertoire, represented by composers like André Messager and Paul Julien Delmet. Despite setbacks from the two world wars (one of the owners was even murdered by the Nazi regime in WW II), the family-owned firm survived and continues to publish music to the present day. 1334 Chaminade Toccata, Op.39 1887? Enoch & Sons of London seems to have had their own plate assignments/system. Please do not place London Enoch (E. & S. ) plates in the above table.